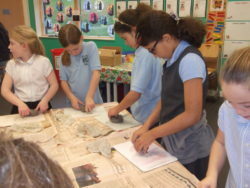 In Primary 5 we have started our new topic of Festivals. 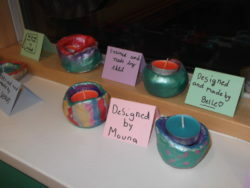 We are looking at Festivals that are celebrated all over the world during the winter months. 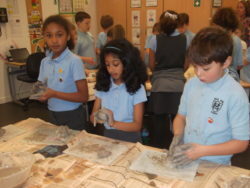 Last week we investigated Diwali. 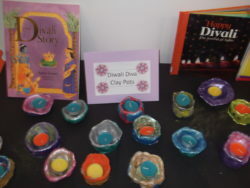 We learnt the story of Diwali to understand why it is celebrated and the significance of light in the story. 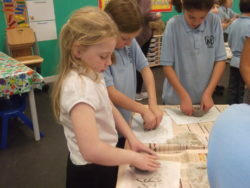 The children made their own Diva using air dried clay. 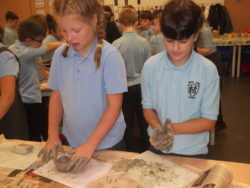 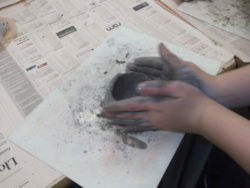 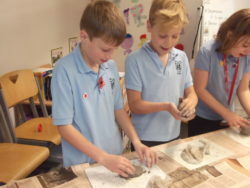 They molded the clay into a ball and used the thumb pot technique to create their unique designs. 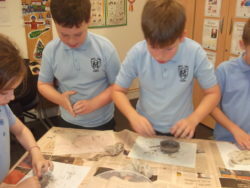 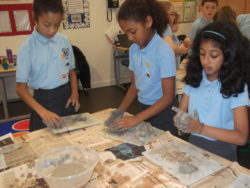 Once the clay was dry the children decorated their pots using metallic paint, glitter and sequins. 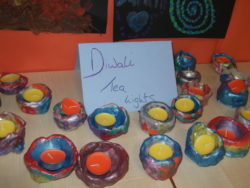 They placed a coloured tea light in the center of their pot.